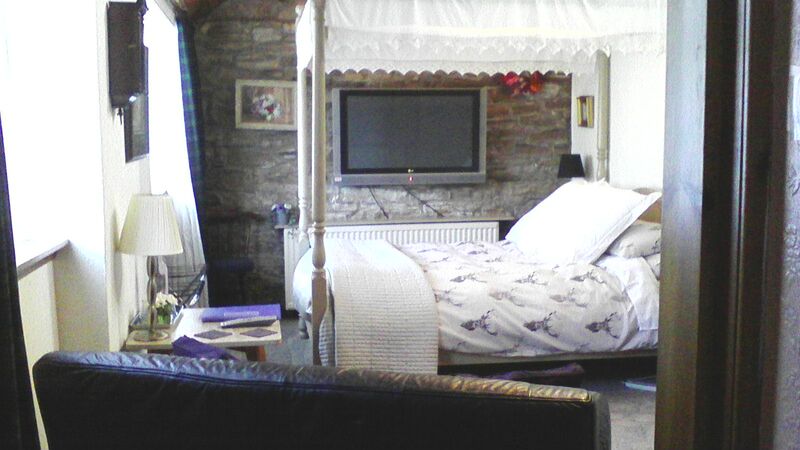 The Cameron Tartan 4 Poster Room & en suite can be let for weekend breaks or rented out on a weekly package. This accomodation would suit a couple. If further guests or family require accomodation there is a separate twin room (Buntine & Gemmel Room) with it's own bathroom. There is a kitchen available for use of the guests using either the Cameron 4 Poster Suite or the Gemmel Room.